Treasury Sec. Mnuchin to lead massive delegation at opening for US embassy in J'lem, joined by dozens of lawmakers. Some 250 people will join a US delegation to Israel’s capital for the opening of the new embassy in Jerusalem next month, Axios reported on Sunday, including dozens of lawmakers, senior advisers to President Donald Trump, and Treasury Secretary Steven Mnuchin. According to Axios, Mnuchin will lead the American delegation to Jerusalem, where the US is slated to open its new embassy on May 14th, coinciding with Israel’s 70th Independence Day. Among the other roughly 250 members of the delegation will be some 40 senators and members of the House of Representatives, as well as American Jewish leaders. President Donald Trump’s son-in-law and senior adviser Jared Kushner will also join the delegation. The president’s daughter, Ivanka Trump, will also likely attend, though her participation has not been confirmed. The White House and Treasury Department refused to comment on the report. Senior Israeli officials confirmed the report to Channel 10 Sunday night. 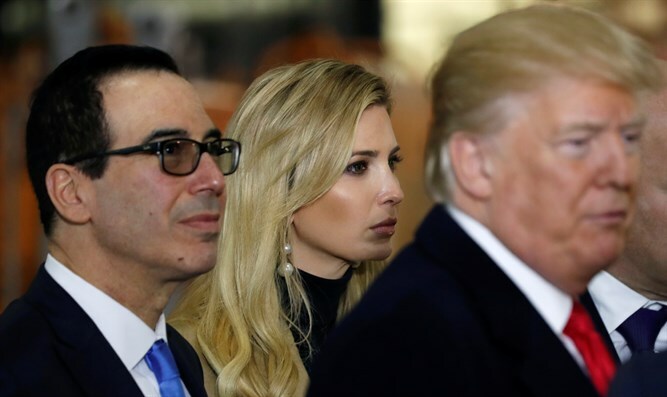 Last week, Israeli media outlets reported that the president’s daughter and son-in-law were considering representing the US at the embassy opening. Vice President Mike Pence had previously suggested he might attend the opening ceremony for the new embassy, as did US Ambassador to the United Nations Nikki Haley. Neither Pence nor Haley were listed in the Axios report, however. On December 6th, President Trump announced plans to relocate the US embassy from its present location in Tel Aviv to the Israeli capital, fulfilling a campaign promise to implement the 1995 Jerusalem Embassy Act, which requires the State Department to transfer the US mission in Israel to Jerusalem.